Jolly Roger Pirate Flag | BUDK.com - Knives & Swords At The Lowest Prices! This is the perfect Jolly Roger flag to fly from your picnic table. 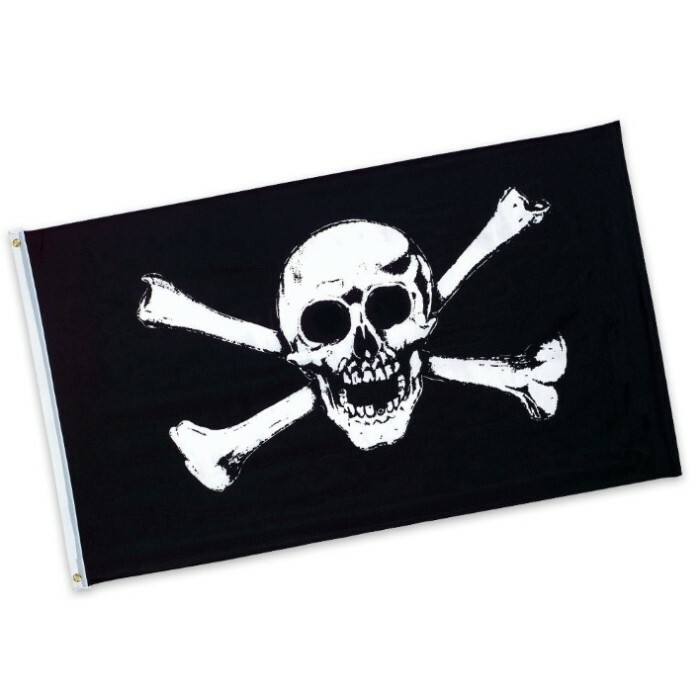 Or have your wench hang this pirate flag for you either inside or outside your captain's quarters.